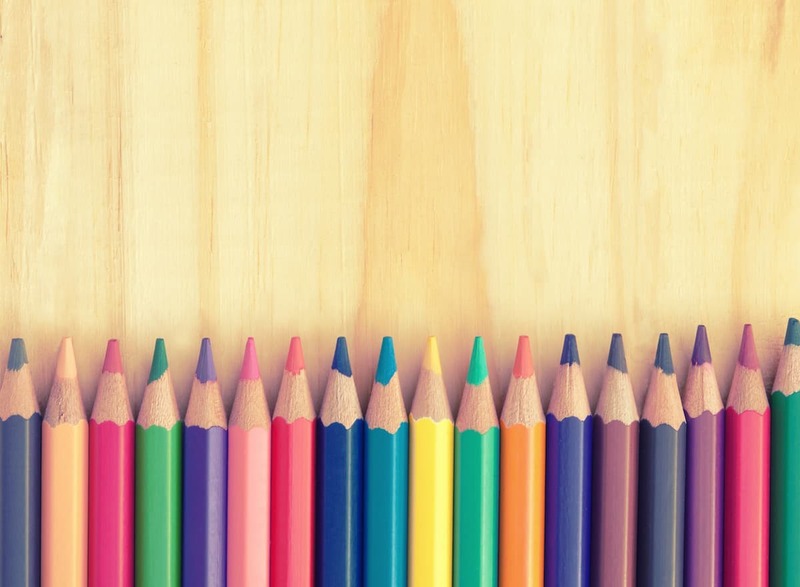 What do you do when your coloring page is done? Make something! 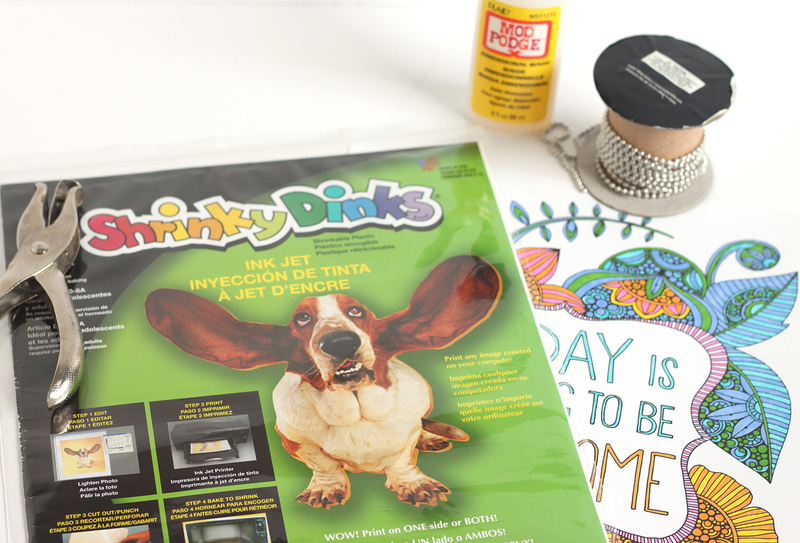 Here’s a tutorial to turn those pages into Shrinky Dink keychains! 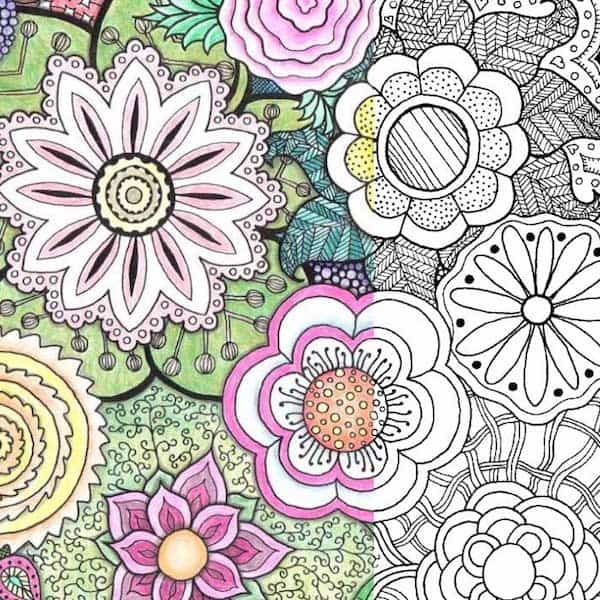 Adult coloring is a huge trend right now. If you haven’t tried it, I suggest you do. I really enjoy it, but I feel the same way about it as I do with puzzles. You spend all of that time on it, and then what? 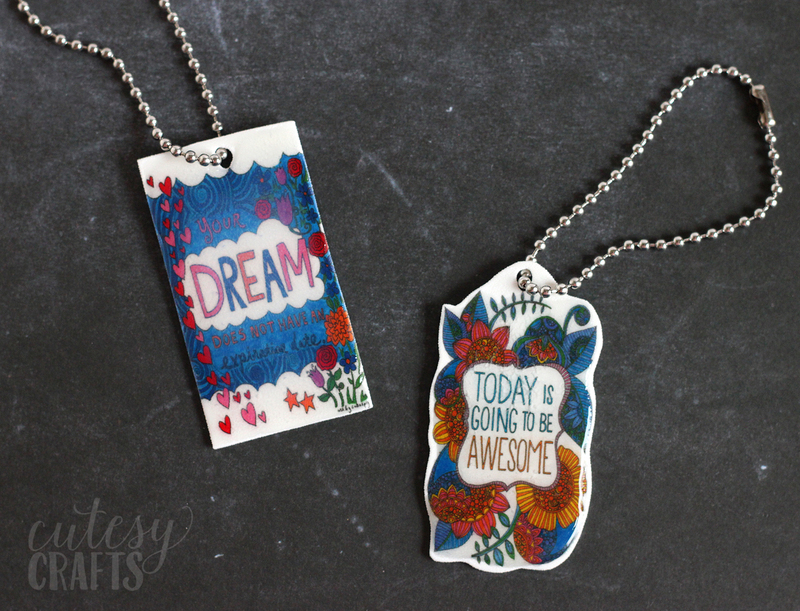 I decided that I was going to make something new out of one of my masterpieces and came up with these fun Shrinky Dink keychains. 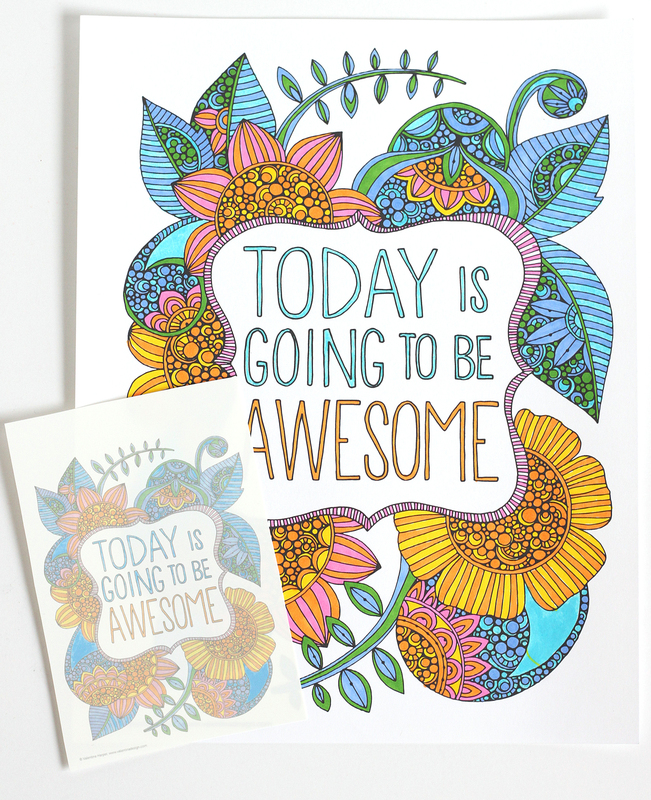 They are a great way to use those coloring pages. 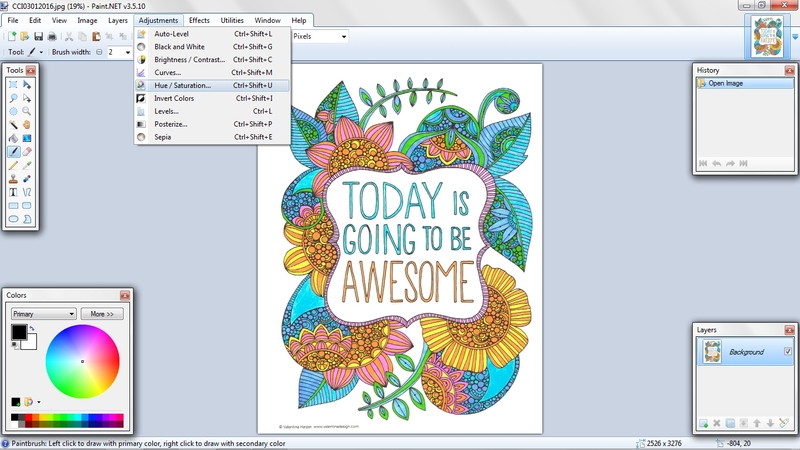 You are going to need a little bit of technical knowledge so you can scan, resize, and change the saturation (color) of your image. I will try to walk you through it. You should be able to do this with any image editing program, but I’ll show you how to do it using a free program called Paint.NET. 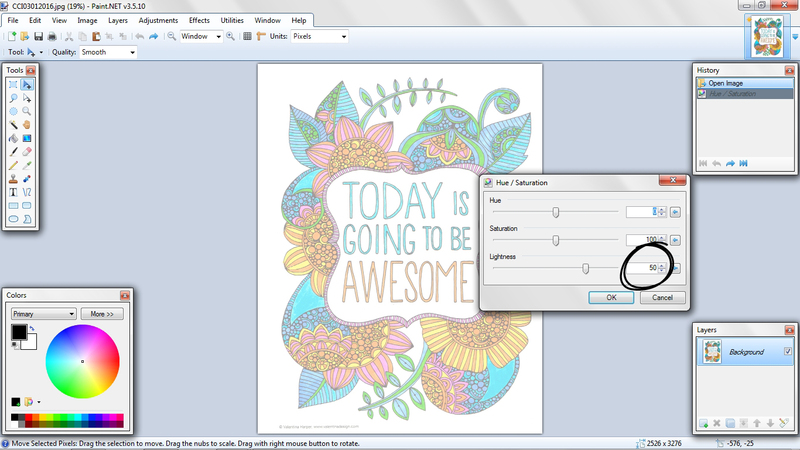 Scan in your coloring page, open it, and go to adjustments – Hue/Saturation. Change the lightness to 50 to make the colors more washed out. 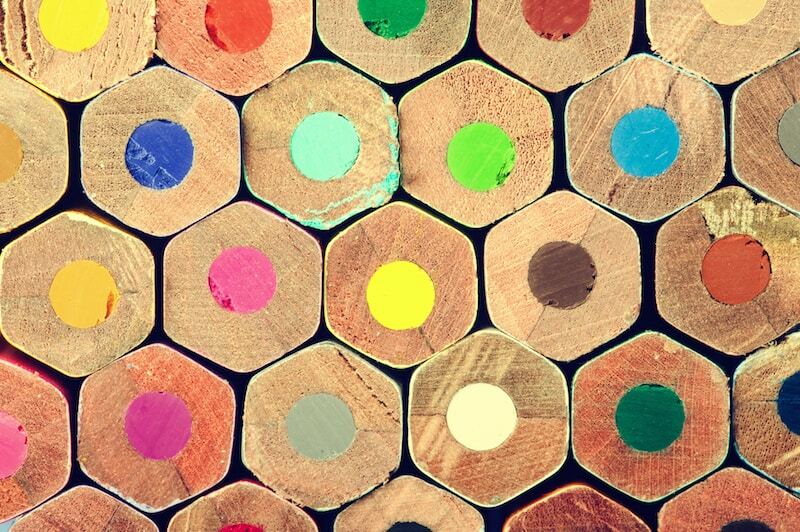 When you shrink the image, the colors will darken, so you want to start lighter. If you trust yourself to resize the image in your photo editing program, go ahead and do that. You want it to be about 3-4 inches wide. If not, go ahead and save it as a JPEG image. 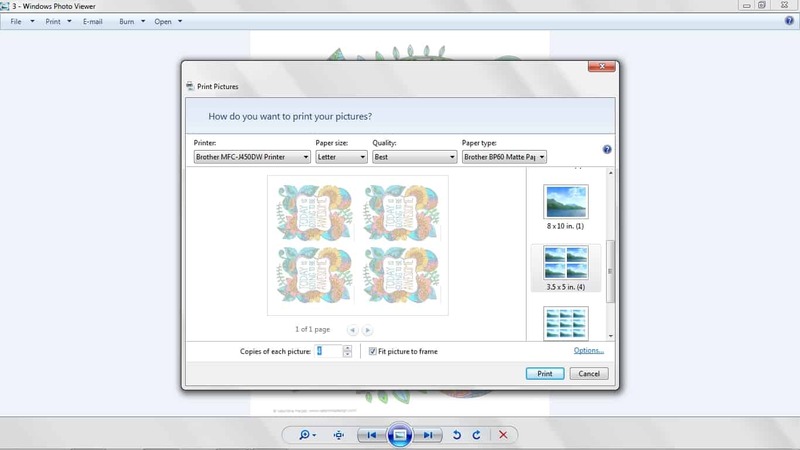 When you go to print it, you can select 3.5 x 5 and print up to 4 on a page. 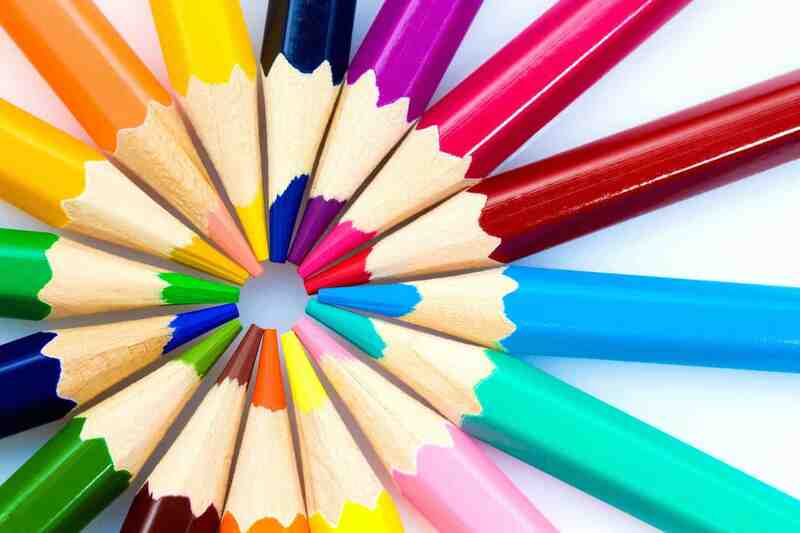 Depending on your printer, the colors will turn out a little different than what you colored. My blues came out much darker than what I colored, but it still looked okay. 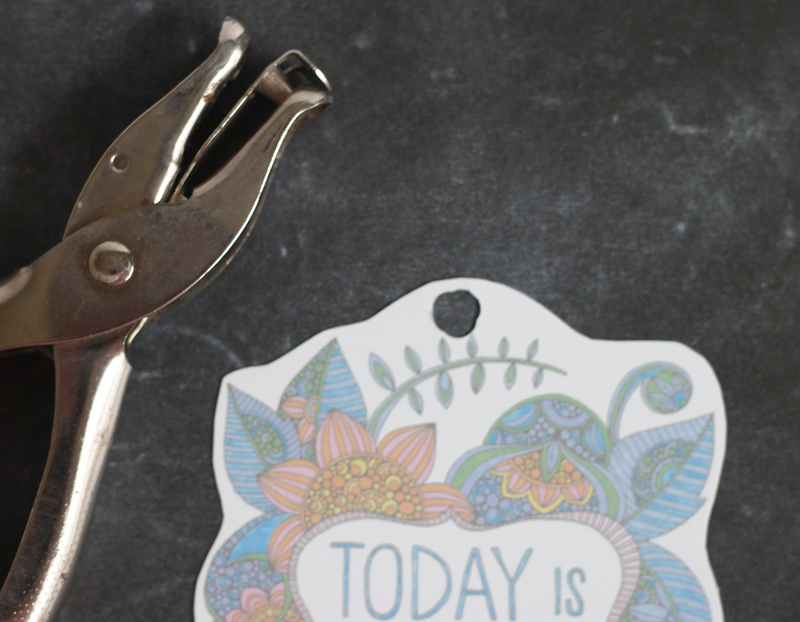 Cut around the outside of the design, leaving a small part on top to punch a hole. Punch a hole in the top of the design. 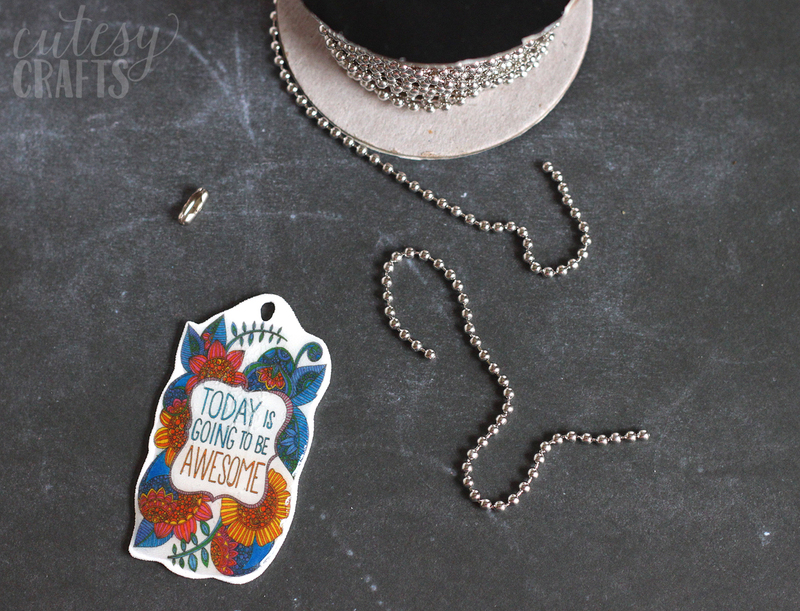 When it shrinks, the hole won’t be large enough for the chain to go through. Make it larger by punching partial holes around the original hole. 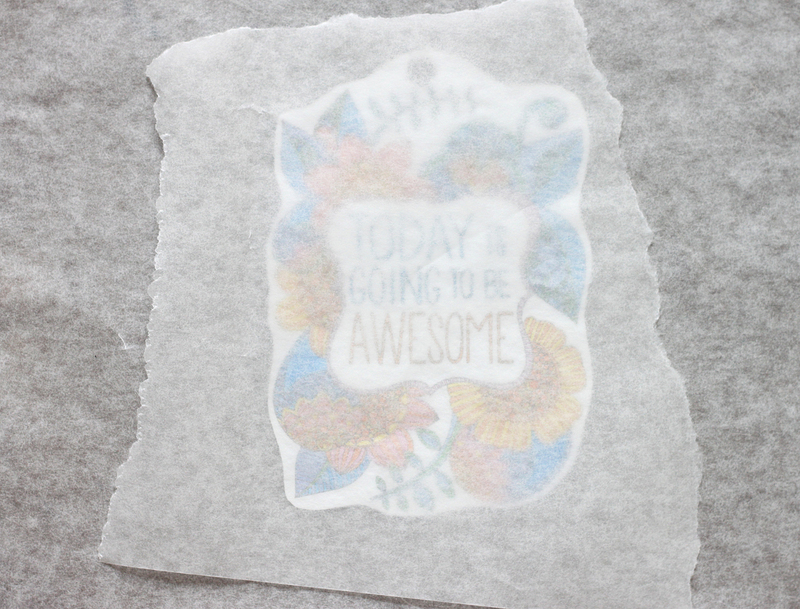 Line a baking sheet with parchment paper, and put the design on top of it. Put another piece of parchment paper on top of the design. Preheat the oven and bake according to the package instructions. Use a spatula to make sure the shape stays flat until it cools a little. Now, you can be done at this point with the design, but I decided to add a coat of Dimensional Magic to it. 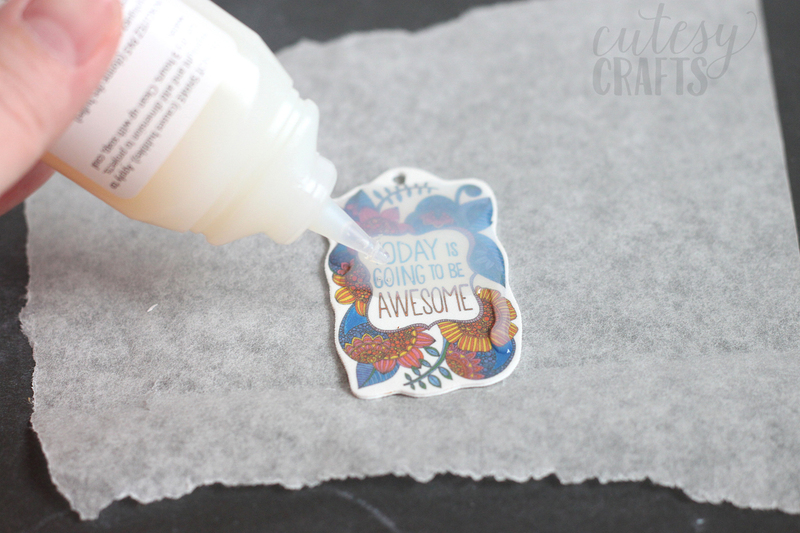 Seal the ink with a spray acrylic sealer first and let it dry. 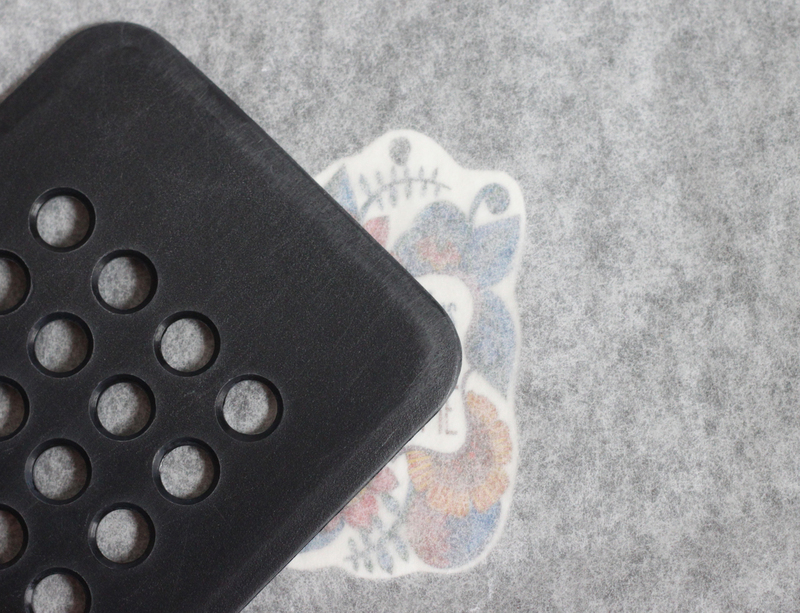 Squeeze a coat of Dimensional Magic all over the top of the design, avoiding the hole. This stuff is pretty cool. It adds a raised, clear coat over the top of the surface. The bottle says to let it dry for 3 hours, but I would let it set at least overnight before handling. 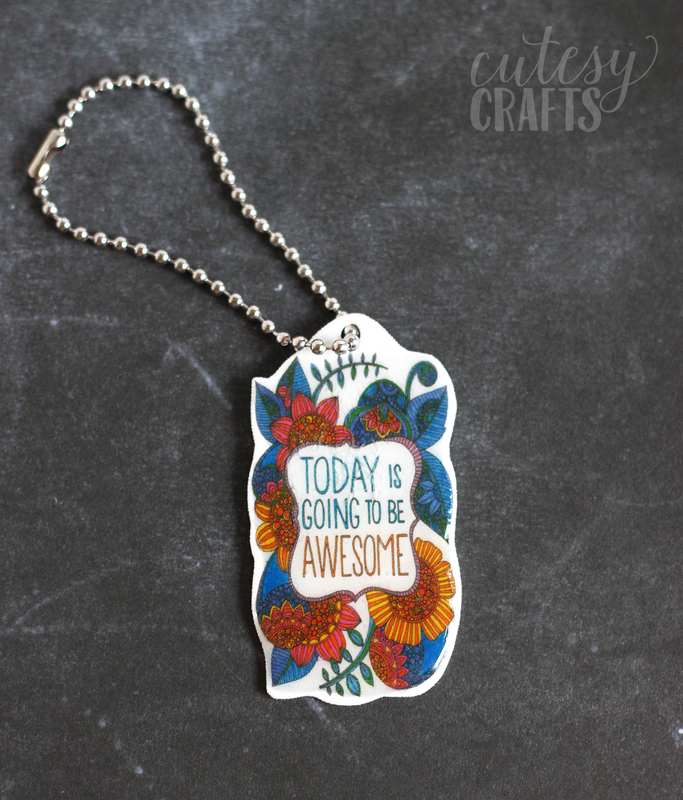 Now I get to look at the pretty design that I colored and have a little reminder on my keys that “Today is going to be awesome!” I love my Shrinky Dink keychains and am already thinking about how I could make more with additional designs. 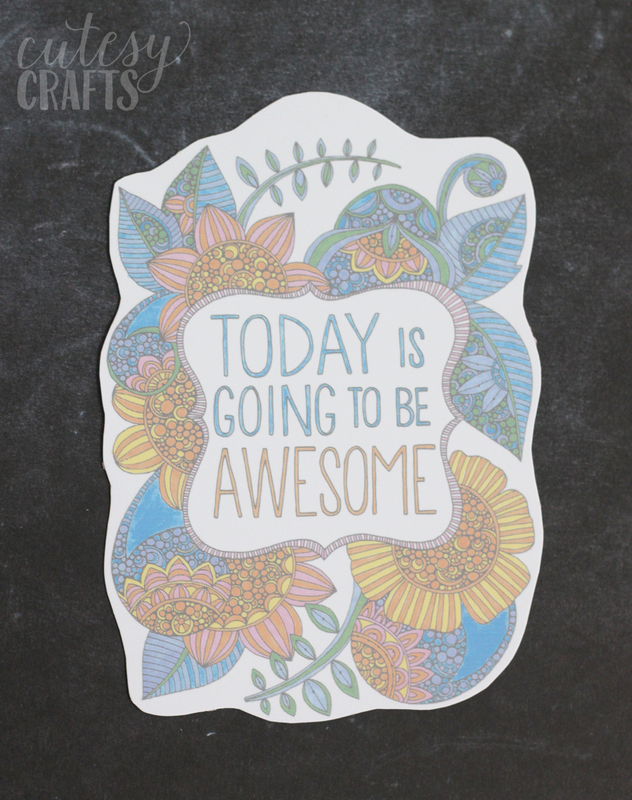 For more fun crafts, visit my blog, Cutesy Crafts. wHAT NEAT IDEAS! i WILL BE TRYING SEVERAL OF THEM. 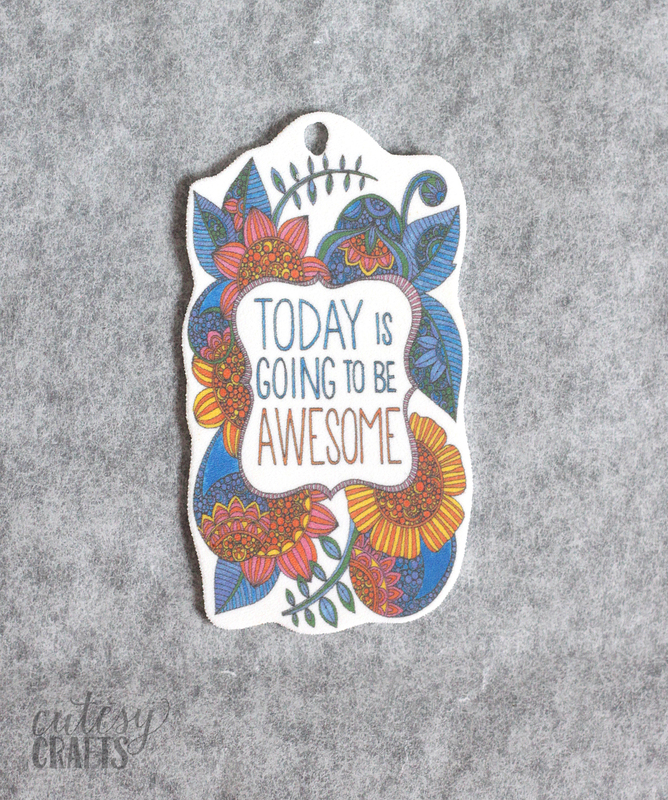 Since you use Lisa Congdon’s work in this example don’t you feel it would be appropriate to give her acknowledgement in your first sentence or two? 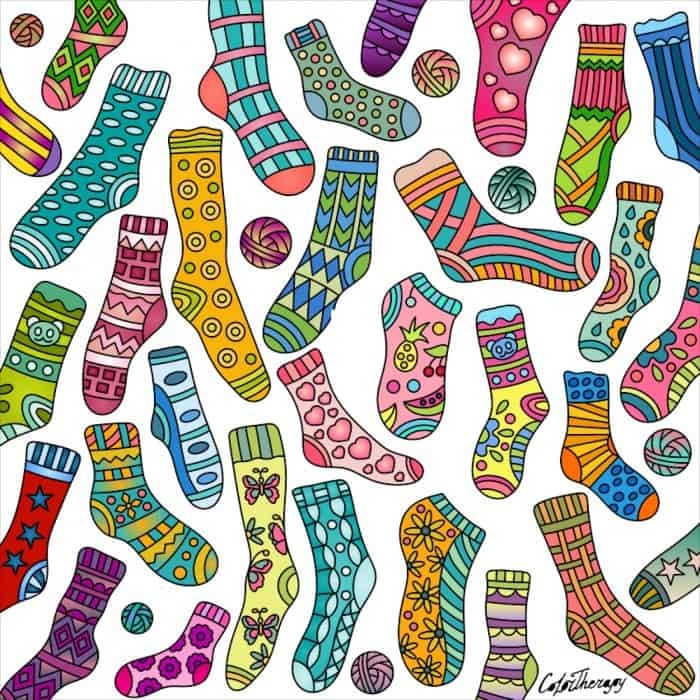 Lisa’s work isn’t featured here – the artist is Valentina Harper and she’s given credit at the end of the post.